Intended to house the head administrative office for Rotterdamsche Handelsvereniging, the building was completed in 1879 when the founder of the RHVLodewijk Pincoffs went bankrupt and fled the country to the United States. 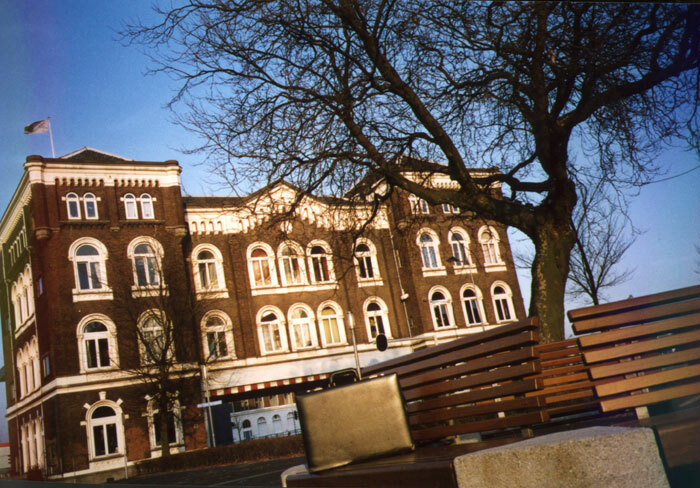 In the following 120 years, the building would be adapted to fit the needs of the various users and the everchanging surroundings. 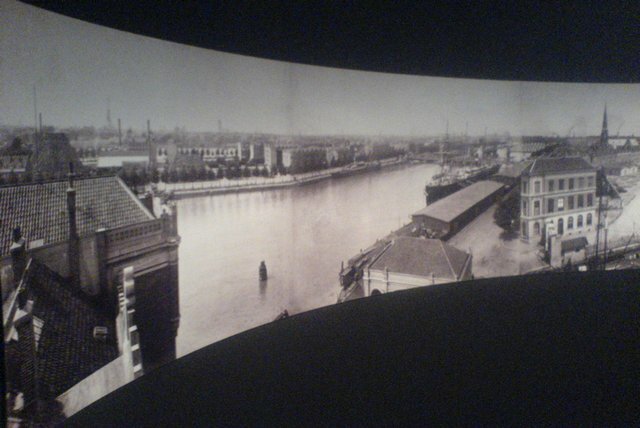 The orginal design of the architect J.C. van der Wall was for a monumental entrance to the Binnenhaven consisting of not one but two mirrored Poortgebouws reflecting the grandeur of the RHV. The 4-storey “gate-buildings” would act as wind-blockers (windschermen) for the ships passing through this narrow passage. Inspired by the London Bridge, the Poortgebouws were also intended to mask the fact that the bridge sat at an awkward angle with the Stieltjesstraat. Following the Pincoffs-Affair, it was decided not to make the second Poortgebouw although a smaller Poortgebouw would be made several years later in its place. 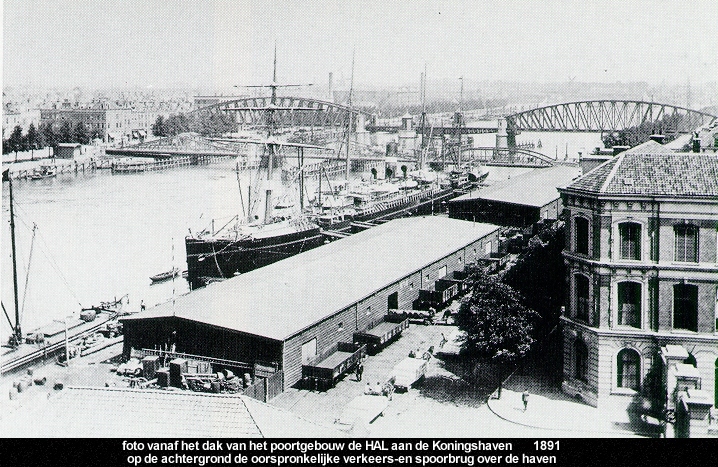 This little brother was demolished in 1937 when the bridge, once the largest “basculebrug” in the world, was replaced. The street which passes under the Poortgebouw owes its name to the engineer Stieltjes. The most curious feature of the building, and often overseen, is its asymetrical Stieltjesstraat facades with one tower being two window bays wide and the other of three bays. 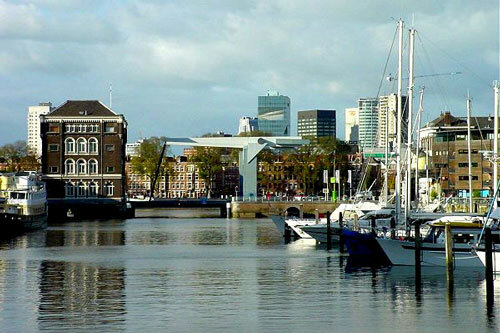 Built in Neo-Romanesque style where symmetry was favoured, this asymetry is perhaps due to the fact that the envisioned pair of Poortgebouws should have first and foremost been viewed from the Koningshaven by the ships entering the harbour. 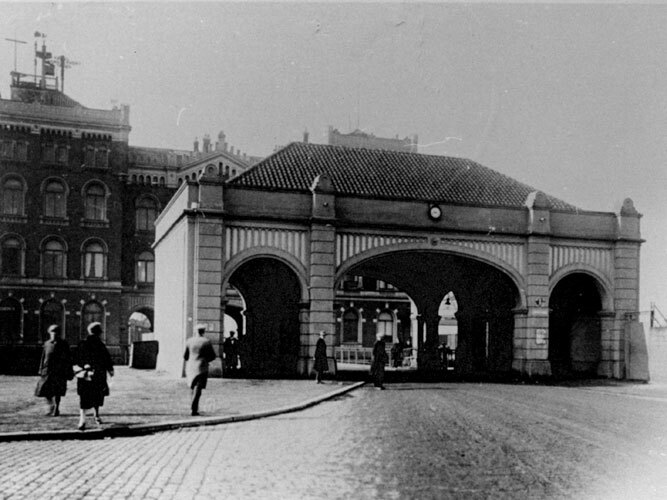 Originally there were 3 portals for traffic to pass through on the Stieltjesstraat: two 3m wide walking paths and a central 1,8m wide passage for horse-drawn carriages (4.40m and 4.90m high respectively). Invariably the most drastic modification, the 3 portals were replaced in 19?? 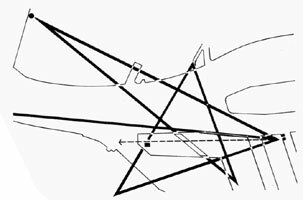 by a single passage to adapt to the increased traffic of motor vehicles. 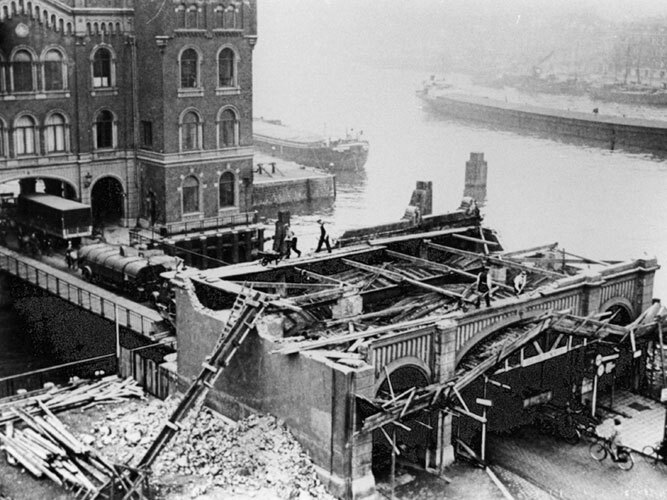 This construction of massive steel beams, which still exists today, ultimately lowered the height of the passage to 3,80 m, a precarious height which to this day results in transport trucks scraping (or on occasion colliding) with the beams. In the late 80ies, members of the Vereniging Poortgebouw welded shut the bridge crossing guards in a protest action to draw attention to this situation. The street construction was lowered achieving a height of 4,05m. The walls are of massive stone construction with a thickness of one stone inside and 1,5 stones outside with rubble fill inbetween and a baked brick finishing. Inside the towers, monumental wood and cast iron staircases connect the 4 floors whose room height varies from 5m on the ground floor to just over 3m in the attic. The current interior of the Poortgebouw is a dynamic combination of the original Classical elements, 20th century technical and environmental modernizations and most apparent, the renovations from office space into housing in 1982-84. An unlikely task, and perhaps just a rumour, the current private owners have ambitions to renovate the Poortgebouw back to its original state in the future. Although hard to imagine today, the Poortgebouw was one of the highest buildings in Feyenoord. From the upper floors, one had an overview of the bustling activity in the surrounding harbours. Certain perspectives from the Poortgebouw out were integral in defining the masterplan of the Kop van Zuid. In a subtle reference to the port history, a romantic sightline to the Wilhelminapier has been preserved. 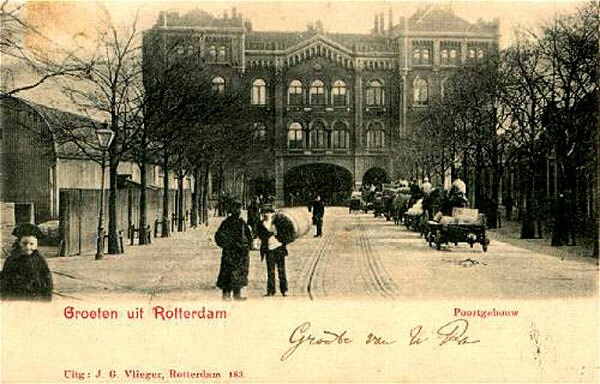 Also the wandering Stieltjesstraat was rerouted onto the axis of the house and informed the shopping “Galleria” between the Wilhelmina Tower and Municipal Tax Offices. 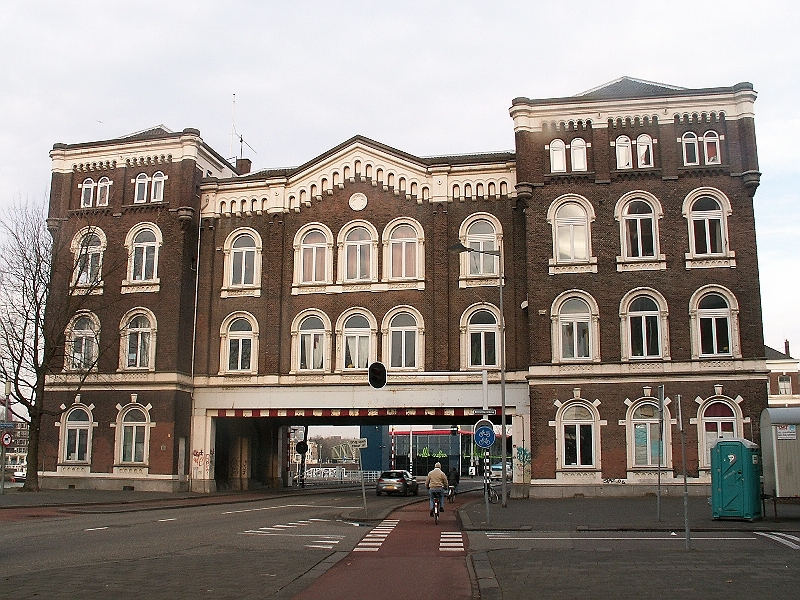 The Poortgebouw was officially classified as a municipal and national monument in 1986.